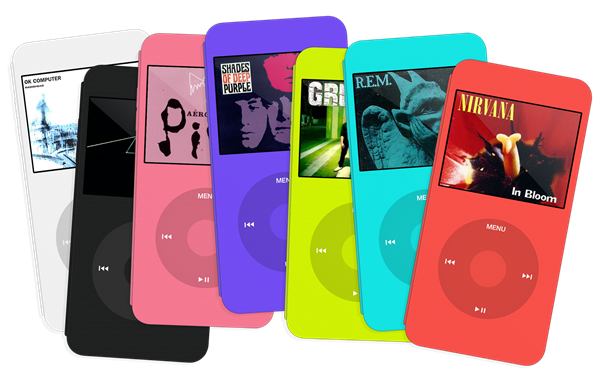 The iPod Classic may have been discontinued, but its legacy still lives on, and whilst Apple fans now focus their attentions on the latest iPhone or iPad, plenty still hold the vintage music player in high regard. 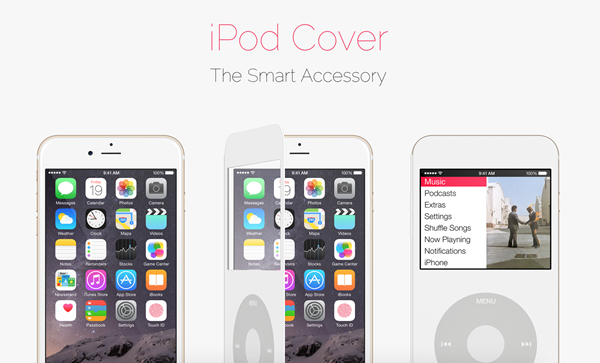 One designer has dreamt up a very interesting smart cover concept that essentially turns your iPhone into an iPod Classic, and if the iOS interface ever permitted, we’d definitely consider purchasing the real thing. iOS devices do support smart covers, although not in such a way that information can be manipulated to show through a cut-out window in a cover. Regardless, designer Claudio Gomboli has used his imagination and come up with something rather spectacular, a smart cover that gives the appearance of the old click-wheel classic once know as the iPod Video. 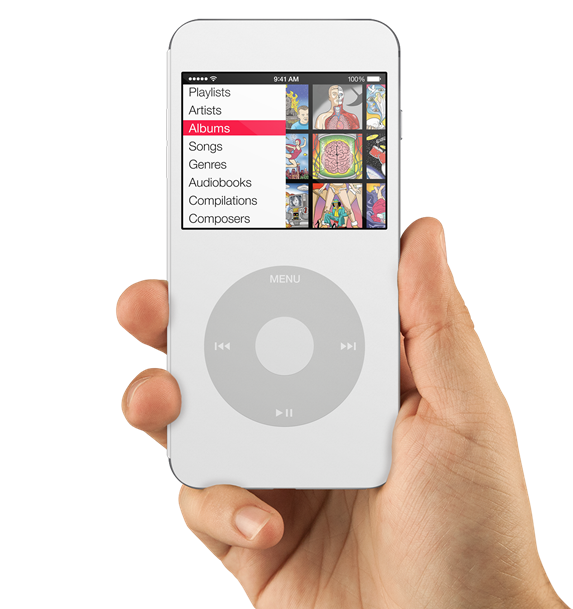 Now, I don’t know about you, but the iPod Video was one of my all-time favorite iPod designs, and it’s great to see it recreated in this manner. 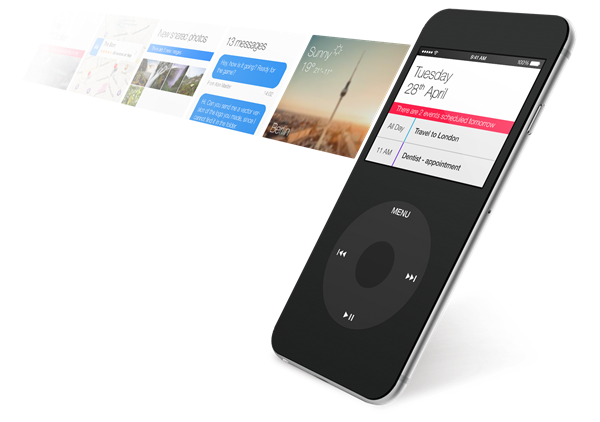 The concept gives you widgets, notifications and other such niceties, and when the cover is on, it automatically switches the display to fit the window of the iPod Classic display. You’d definitely be able to create something like this for Google’s Android, since the platform is much easier to manipulate to fit different setups. iOS is a lot more cut-and-dried as far as the interface is concerned, and despite Apple having opened up various aspects of its mobile platform with iOS 8, there would need to be more change before Gomboli’s concept could ereach fruition. Since it’s just a concept, we’re not going to be seeing it in the market any time soon, but if Gomboli ever did get the chance to bring it to life it’d be comprised of premium leather material. At 3mm thin, it would preserve the slick, slender form factor of the iPhone, and based on the renderings, it’s very easy on the eye. 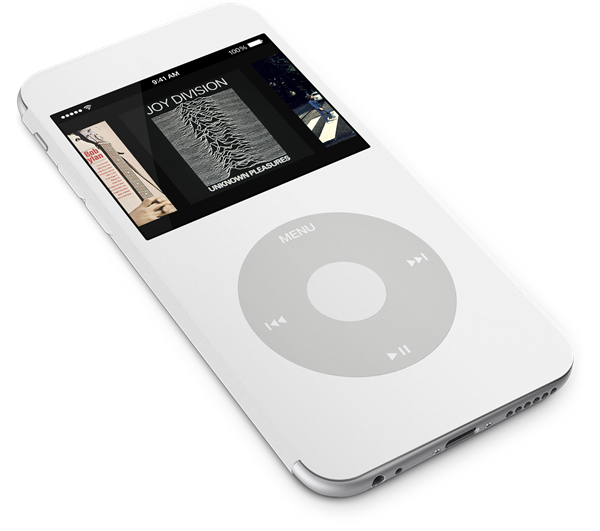 If the iPod Classic case ever did make it out of the lab, would you go ahead and buy it? 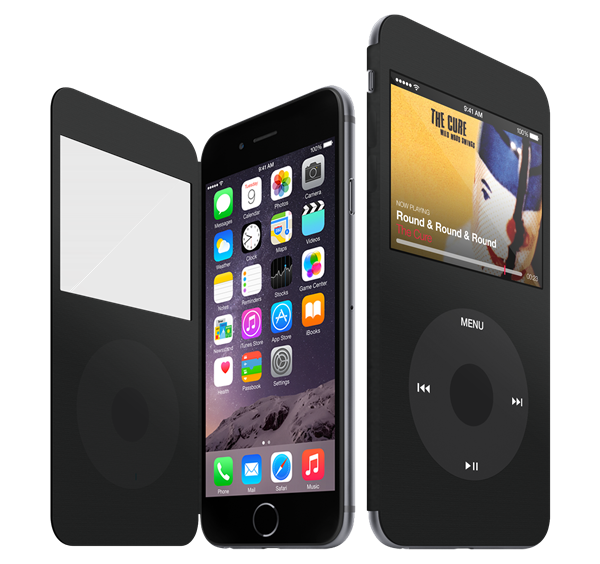 Given that it’s a leather finish, it would probably be quite expensive, but in offering protection and enhanced functionality – as well as a retro aesthetic – the iPod Classic smart cover is a sure-fire winner. The fact is those willing to pay high end prices for smartphones choose the iPhone 90% of the time. The average Android user pays only $250 for an unlocked Android phone while even an unlocked iPhone 5c costs more than that. So the answer to your question is almost all Android users would buy a case that would make their Android phone look like the newest iPhone if they could afford the case. It’s like online those with cheap smartphones say how much they love Android yet in real life, they’re quick to hide their smartphone in front of iPhone users. I guess love of Android only applies to online, in real life they’re embarrassed to own a cheap phone. So getting any case that would make the cheapest Android phone look like the newest iPhone would cut down the embarrassment of owning a cheap $250 smartphone. Really ? does the Sview gives you controls over the phone while on standby ? 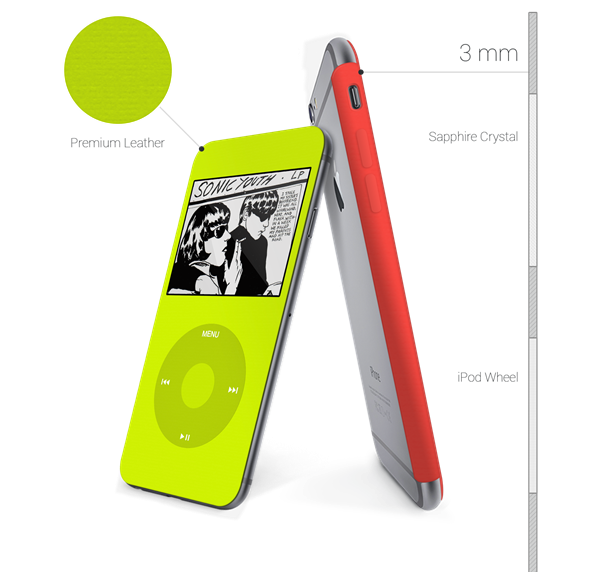 the purpose of the case is to make the iPhone look like the original ipod and have the same controls over it. Most Android phones already look like an iPhone without the cover. I want one. Where to buy? Thanks! Tim Cook. Is that you? This concept could easily be a reality for the android phones too because there a sview case already on Samsung phones so this would be an easy tweak on Samsung phones and you could trick your friend that its an apple ipod and than reveal that it just an android phone lol. Im sure this will be available first on Samsung phone calling it apple s view. A matter of fact the sview makes Samsung phones look like an ipod already. anyways this is a great concept that i would get for both android and apple.